With the parts in and the head back from port and polish, it was time to bring everything together. I was hoping for a smooth build, but those of you familiar with custom builds would know how eager Murphy always is to help. (Murphy's Law: "what can go wrong will go wrong"). 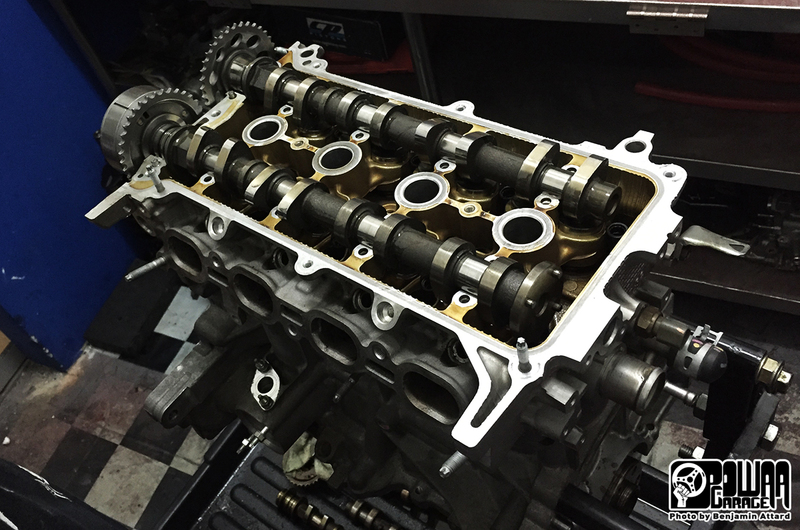 We started assembling the block, fitting the Clevite bearings to the con rods, and tying the rods to the new pistons. 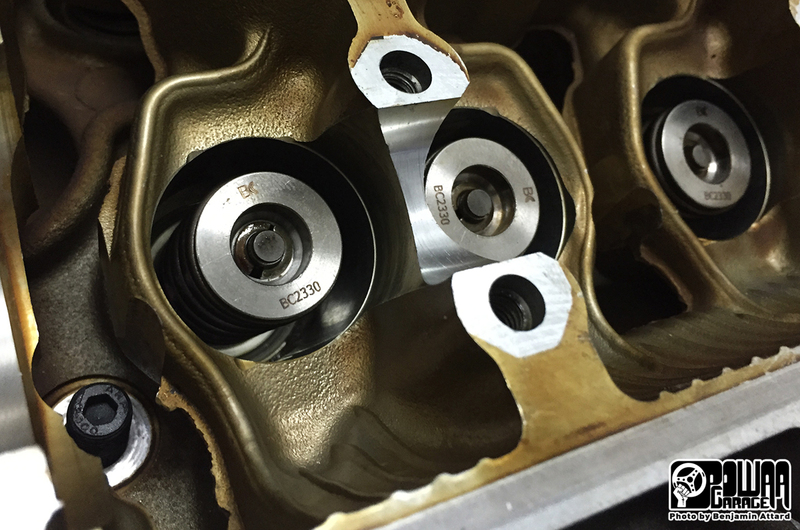 They were then slotted snuggly in the block and tightened around the crankshaft. 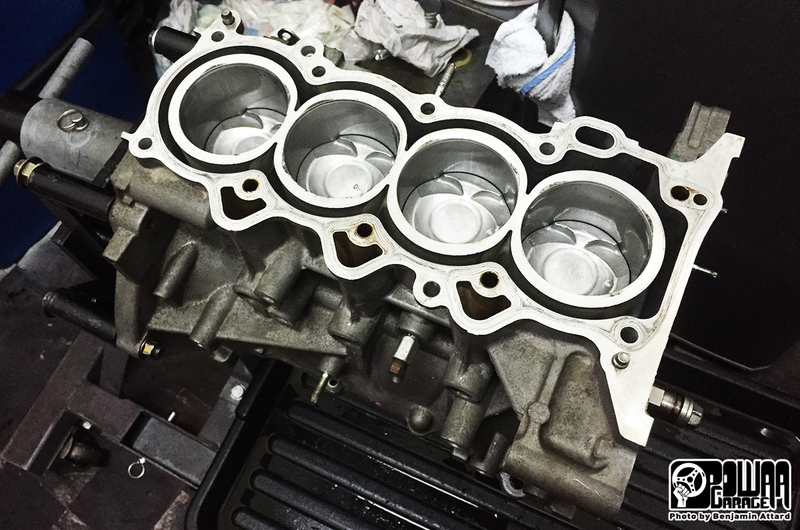 As we not only changed the pistons but were also adding a set of Jun 9.5 high lift cams, the next step was to make sure the new pistons were going to clear the valves without causing catastrophic damage. 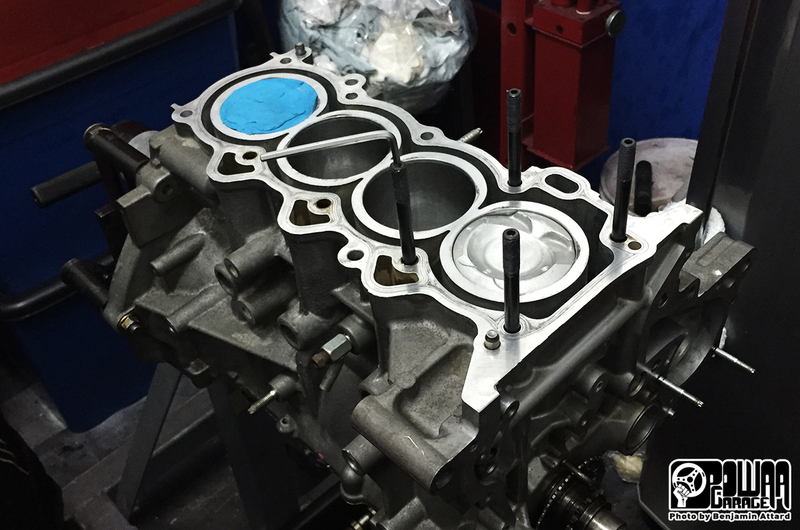 For this, we had to add a coat of clay on one of the pistons, close the engine head in place with the cams and give the engine one revolution. With this done, we were to take everything apart again to check the imprints on the clay and make sure we had enough tolerances. This is where Murphy decided to give us a fateful hand. 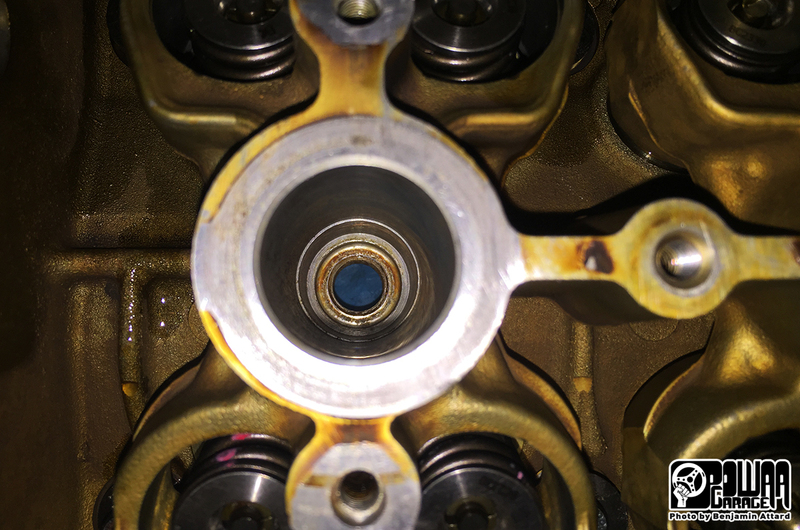 When we tried to fit the valve springs, we noticed that they did not fit the head. 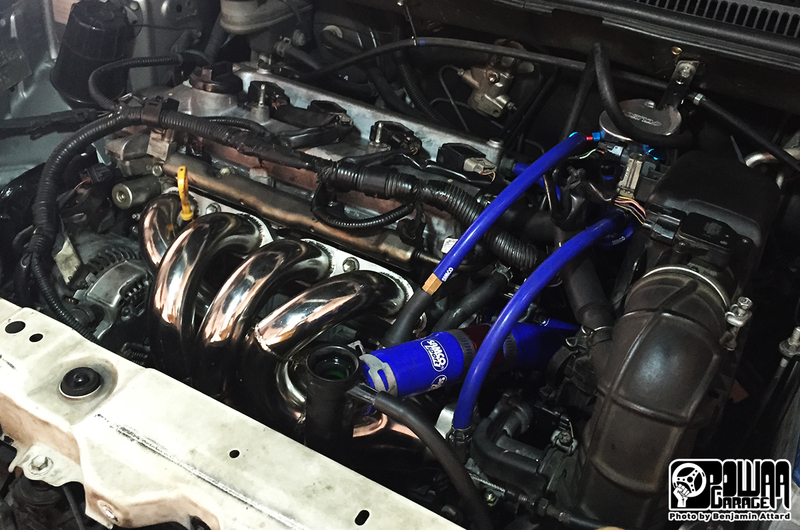 The problems continued as the cams were different from the Jun 9.5 high lift cams I got from a fellow Vios owner, and the oil lines were placed differently. After some research on the issue, we discovered that the spare engine I bought was a Yaris 1NZ-FE. 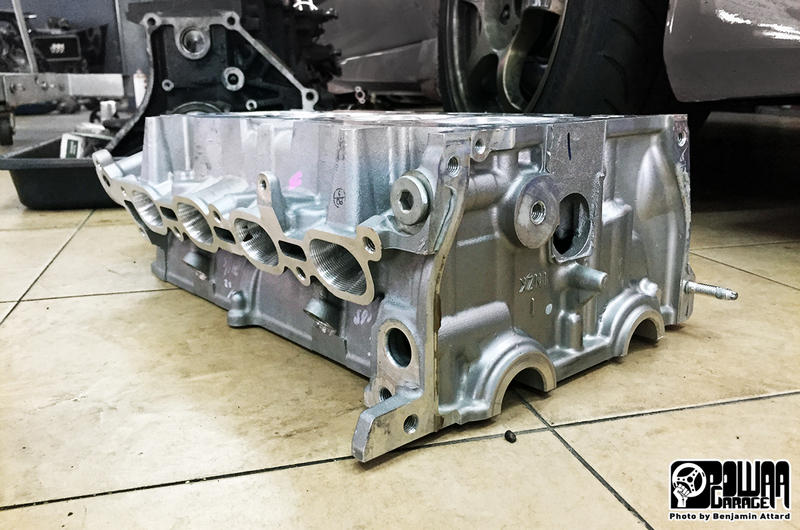 While the block is the same for both the Yaris and the Vios, the engine head (1NZK) is entirely different. Which meant I now had a nice ported and polished Yaris head on my hands, and I wasn't able to use it. (I'm selling it, so if any of you readers are interested, drop me a line). 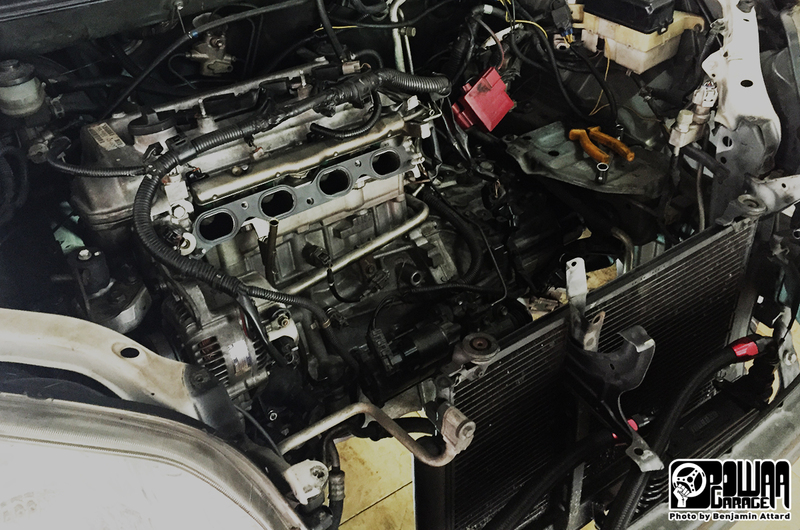 To get through this setback, we used the head of my current engine, while I went on the hunt to find a spare Vios head to send for machining. (Note to self - always pre-test the parts yourself). 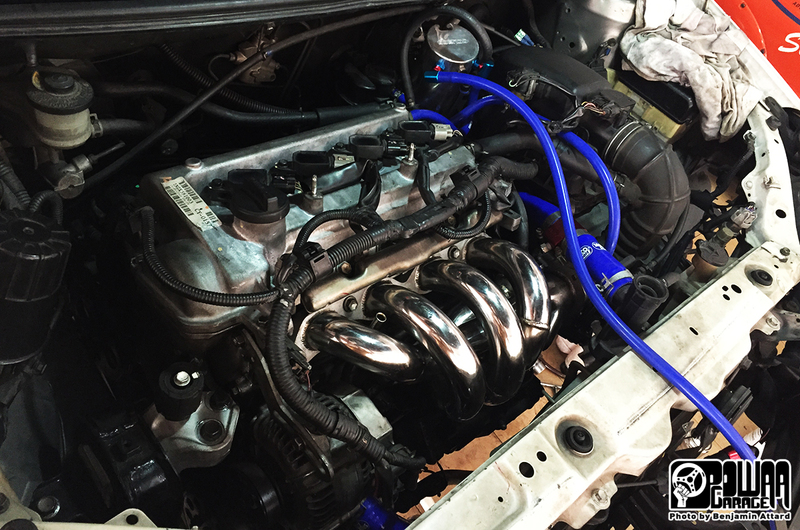 We thus installed my factory Vios head and put the Viton valve seals, Brian Crower springs and retainers in place. Everything fit perfectly this time. Then we secured the head to the block with the ARP head studs to the recommended torque levels, and put the Jun high cams in place. 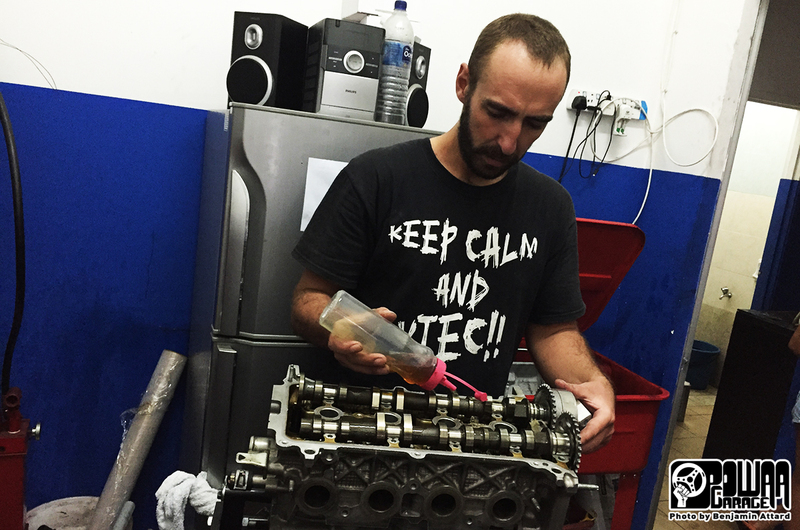 The tolerance result was more than conclusive, and we removed the clay before re-assembling the engine. The plan was to drop it this way in my car and do the engine run-in with the stock head, while waiting for the new one. 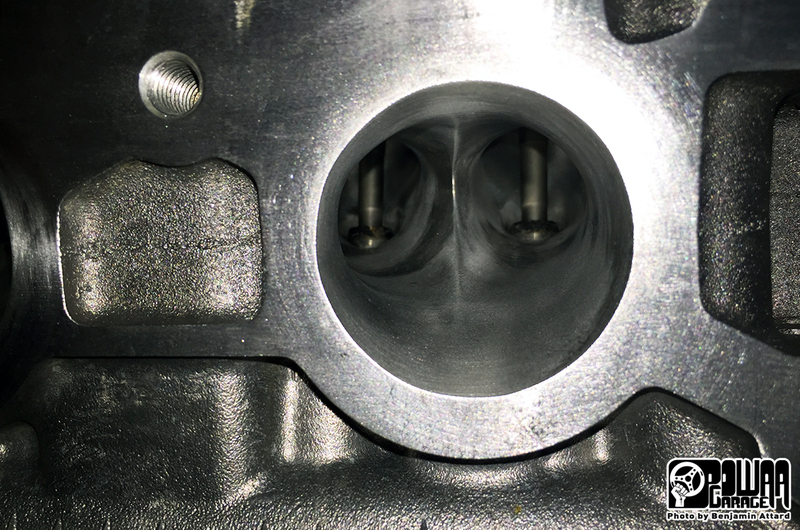 The engine made its way in the bay, and while the mechanics were busy connecting the drive shafts, and exhaust headers, we took the opportunity to make measurements to fit individual throttle bodies (also called quad-throttles). 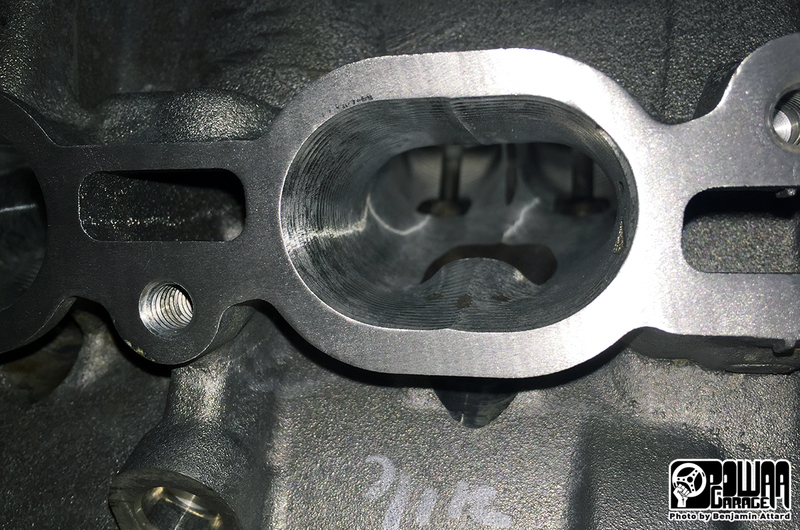 JC from the RZ Crew Garage had a set of 4A-GE lying around, we decided to to a custom piping to fit them to my engine, effectively increasing the throttle size from 54mm for all 4 cylinders to 48mm for each cylinder. The tuning for this will be more than what my current E-Manage Blue can handle, so we ordered a more proficient E-Manage Ultimate to take over the job. 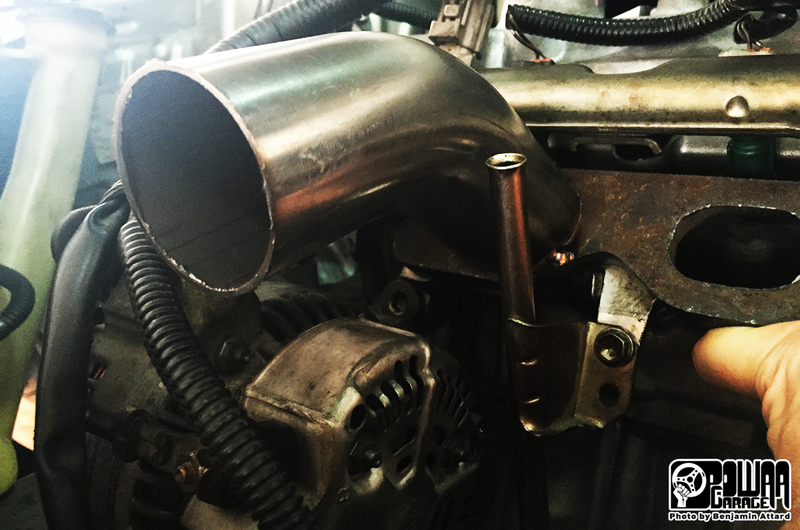 With the ITB measurements done, it was time to install the metal air intake I bought from Speed-D, fill up the fluids and give the new power plant its first crank. Bingo on the first crank! After running the engine a bit, the first oil change did not reveal a single speck of metal shaving (yay!) so we topped it up again, and I headed off for the run-in. The build is not over yet, and we are still missing some parts, namely the ITBs, exhaust header, machined engine head, uprated injectors, fuel pump, fuel pressure regulator, the ECU, and of course, a good tune! 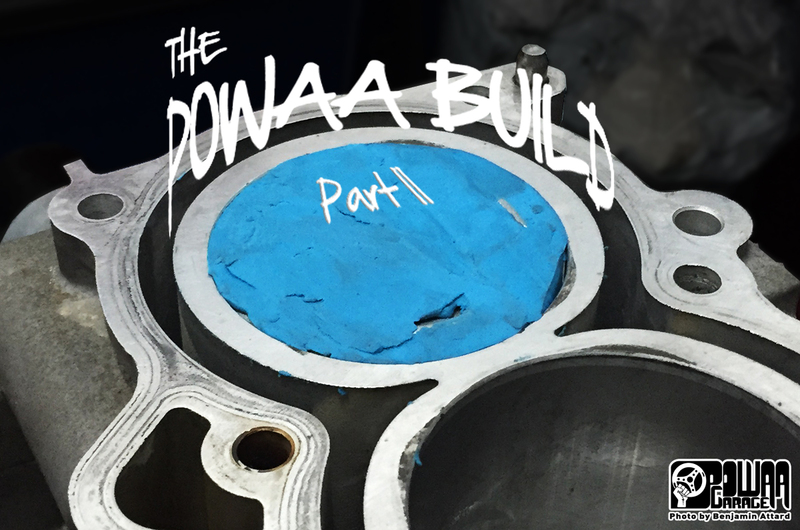 Check out Part III, where we find out how much power we get out of this setup!